Zerbinati is present in Berlin at Fruit Logistica 2017, the international trade fair dedicated to the world of production and distribution companies of the fruit and vegetable market. There are stories that never age because they are made in the name of freshness. This is our story: it began in 1970 in Borgo San Martino (Alessandria), when Ferdinando Zerbinati selected vegetables that had just been harvested to sell them in fruit and vegetables markets and continues in the first facility giving life to his idea of family business, with the birth of the first successful product: the fresh minestrone (vegetable soup) cut and packaged on tray. Today three generations work for the Zerbinati company, a leader in the production of ready-to-use fresh vegetables and fresh food. Looking ahead to foresee the new needs of our consumers and anticipate the request of this sector without ever forgetting our origins and the attention to quality that have always been our hallmark. but we work with them to guarantee good, healthy and natural products. Our in-house team of agronomists actively participates in the planning stage, the sowing and harbesting of the raw materials. We use integrated production techniques, because we respect the generosity of nature that offers us its gifts and we care about the health of our consumers. After harvesting, our vegetables are taken to our plants. We transport them with care, checking them thoroughly because we want them to reach their final destination in a perfect and fresh condition. Just one action is repeated again and again after reaching the plant until packaging: quality control. Over 1,000 checks on the raw materials every year, over 5,000 microbiological ones on the finished product. After being checked watchfully, the vegetables are ready to be cut and washed. The other ingredients reach the kitchen to become our soups, Burger'Z and other fresh ready to eat meals. Once the ideal cooking is completed, another check takes place followed by the packaging phase. Our plants are IFS, BRC, BIO and "Integrated fight" certified. 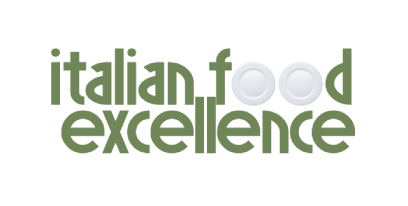 Our specialities and vegetables reach supermarkets and Italian families. From the field onto the table, all the production line is strictly checked and traced.